Call now and we'll take care of you! Making the Insurance Professional's job easier is our priority. We have decades of experience working with agents and adjusters; resulting in customers who feel satisfied with the performance of their Insurance Company. 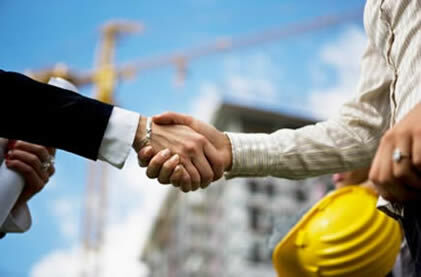 Jacobs Construction regularly consults with Insurance Companies to write estimates. We know their language, and even use the same industry standard estimating software, thus more easily facilitating customer claims. is to help insurance agents by maintaining communication through every step of the project via weekly emails (also phoning and faxing as necessary). Our strong reputation for honesty and quality work has developed and maintained good relationships with our customers, craftsman, vendors, insurance agents and adjusters, and other time tested professional companies in Tulare, Kings, and Kern counties. We have done this by doing the job right, on time, and at a fair yet profitable price for continued quality. Jacobs Construction is a member of the Central California Adjusters Association and of the California Association of Independent Insurance Adjusters.